If you are experiencing a slow or degraded connection the first thing we will need you to do is complete a speed test. We have an available bandwidth meter to check the bandwidth of your ADSL/ADSL2 connection; for Speed Faults the result in the black box of the test is required. Programs such as P2P, IM, email clients, or any other program that may use the Internet should all be closed when running a speed test as they will slow down your connection. Please note that for 8Mbit plans the upstream carrier will not look at a speed fault unless the connection speed is less that 1500 kbps. The maximum speed of your connection may vary depending on your distance from a telephone exchange; the copper line quality; the number of users in your area and connection protocol overheads. Power Cycle your Equipment – your modem may just need to be restarted, unplug the power and phone cables from the back of the modem for 20mins then reconnect, this forces a software reset at the exchange. I am able to access some websites/servers but not others? 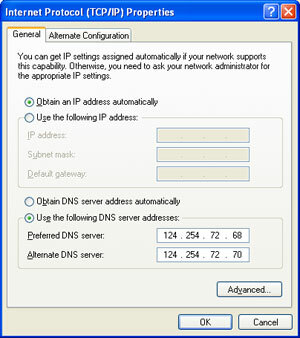 If you are having trouble connecting to a secure site, or Yahoo, or MSN, or AOL, or you use VPN, and have severe performance problems, then you might need to tweak the MTU setting in your router. MTU or Maximum Transmission Unit is the largest packet a network device transmits. Having an MTU of 1500 allows for 1460 bytes of data payload, 20 bytes of TCP header, and 20 bytes of IP header. With PPPoE connections, the PPP and PPPoE header increases the frame size by 8 bytes, so we must lower the MTU to 1492. A packet sent to a device larger than its MTU is broken into pieces. 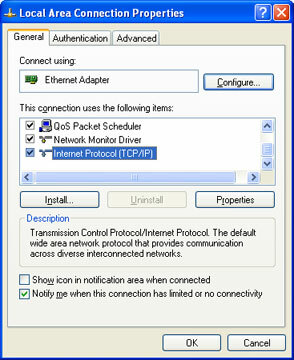 Ideally, MTU should be set to 1492 on all your computers, routers and switches, as well as on all the parts of the Internet that you access. But you cannot control the MTU on the Internet, and in practice the optimum MTU size on your LAN is related to your hardware, software, wireless interference, etc. Tweaking MTU size may work well in one situation, but cause performance and connection problems in others. When network devices with different MTU settings communicate, packets are fragmented to accommodate the one with the smallest MTU. Windows ™ sets MTU automatically, that is, it optimizes computer MTU for you. Once a network device fragments a packet, the data stays fragmented until arriving at the destination computer. All DSL connections use ATM – it’s built in to the protocol. PPPoE is less efficient than PPPoA because PPPoE is really PPP over Ethernet over ATM, and the extra layer wastes an extra 24 bytes protocol overhead in every packet. For a PPPoA connection, if the speed is limited only by the modem speed, then an MTU value of 1478 is usually the best as this is the maximum value that avoids wasted padding bytes in the fixed size ATM cells that carry data over the link. For the same reason, an MTU value of 1454 is usually best on a PPPoE connection. The optimum MTU for PPPoE is 24 bytes less (1478 – 24 = 1454) than that for PPPoA. Note: If you change MTU on one computer, change it on your other computers, switches, and routers, as well. I can’t browse at all? What can I do? If you are unable to go to any website like www.google.com.au the first thing you need to do. Is to check if you can browse by IP address. If you are still unable to browse it is either a firewall or connection issue. Try disabling your firewall/security software and see if you are able to browse. If not check out our Connection Troubleshooting guide.